I think that what really grabbed my attention was the title of this book. 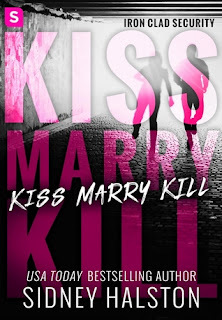 KISS MARRY KILL definitely sounds like it would be on a sociopath's check list for romance. So of course, I had to read the book. This is definitely a character driven romantic suspense complete with characters so detailed that they almost step off of the pages. Megan seems to be the most well balanced of the bunch even though she is being stalked and she is a lead singer for a popular pop group. Jax is the man that opened her eyes to possibilities years ago but the war messed him up. I really enjoyed this book. All the characters are ones that I would enjoy getting to know even better. The plot was fast paced and kept me glued to the page. The dialogue was quick, witty and down right amusing at times. 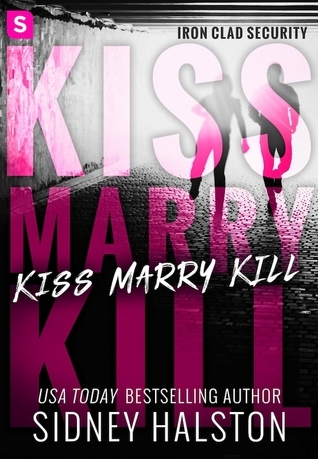 KISS MARRY KILL is a great book to introduce a new series Iron Clad Security. 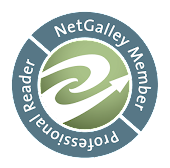 I do recommend my readers who enjoy romantic suspense to pick up a copy and get to know these wonderful characters.